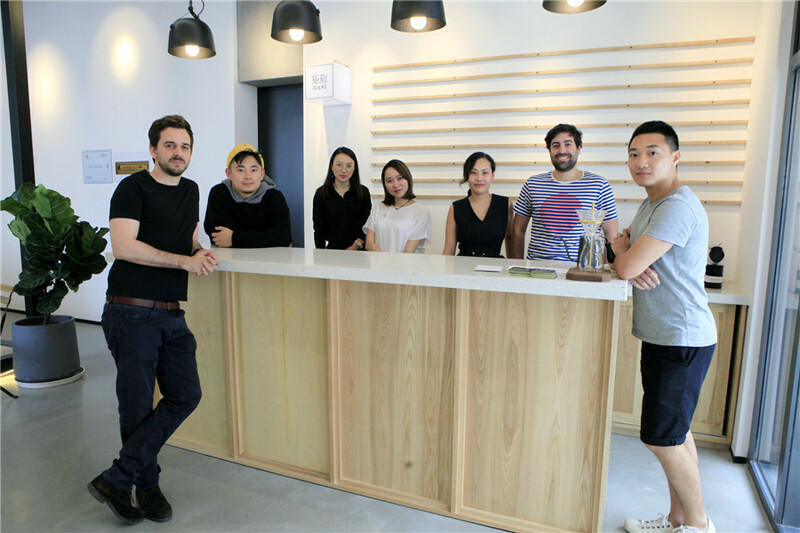 Walking into the brand new office of JU&KE at UpperHills in Futian District, a design studio co-founded by 27-year-old French designer Christophe Branchu and 32-year-old Belgian designer Julien Gueuning, people can smell the clean scent of a newly furnished two-story loft. 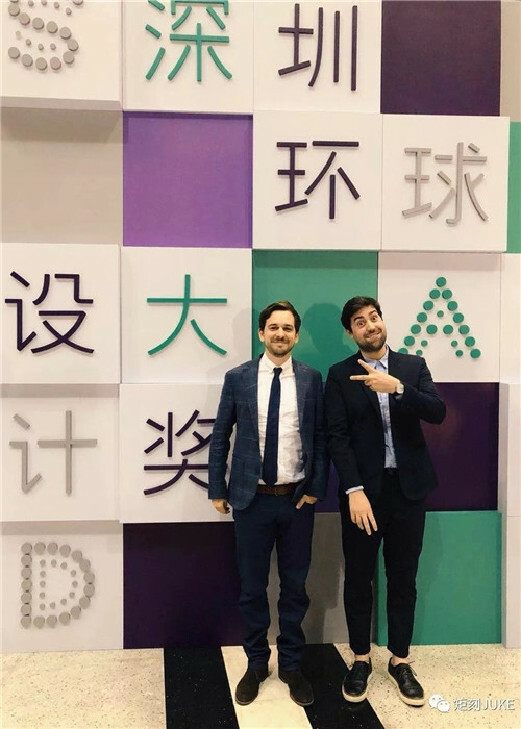 More importantly, a sense of hope and ambition lingers about, coming from the poised looks of the co-founders and their team who are ready to achieve more in Futian. “We knew Futian was our target,” Gueuning said. “For designers, Futian is an amazing place. It’s unbelievable that we can see high-rise buildings in the district but at the same time it’s so open and green with parks,” he added. Before they met each other, Gueuning worked for a well-known American designer, at which time he also joined an incubator launched by Branchu that mainly worked with big international brands. With time, more and more Chinese customers requested to cooperate with them to promote their products in Europe and the U.S. The two also found that they had a lot in common in both work and in private life. In terms of design philosophies, both of them believe in simplicity. As a result, they decided to create a company of their own focusing on helping Chinese companies develop stronger international recognition through design. Founded in 2016, JU&KE provides a wide range of design services including industrial design, visual identity and space design for startups and small- and medium-sized Chinese companies. According to Gueuning, 30 percent of their clients are international and 70 percent are Chinese companies from industries such as technology, culture, lifestyle, jewelry and transportation in areas including Shenzhen, Beijing, Shanghai, Suzhou, Harbin and Guangdong, Zhejiang, Yunnan provinces. JU&KE Studio won Silver Award of the first Shenzhen Global Design Award in May this year for their Obsidian 3-D VR camera. 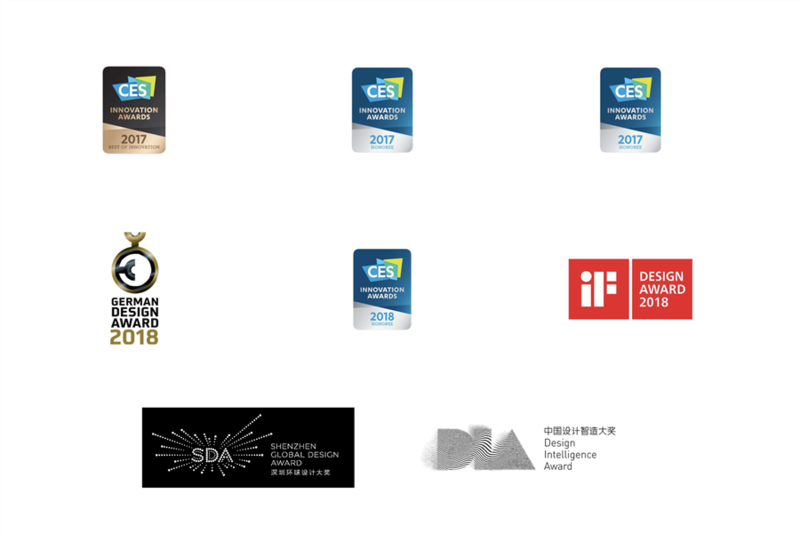 As young as it is, the design studio has won several international design awards over the past years. 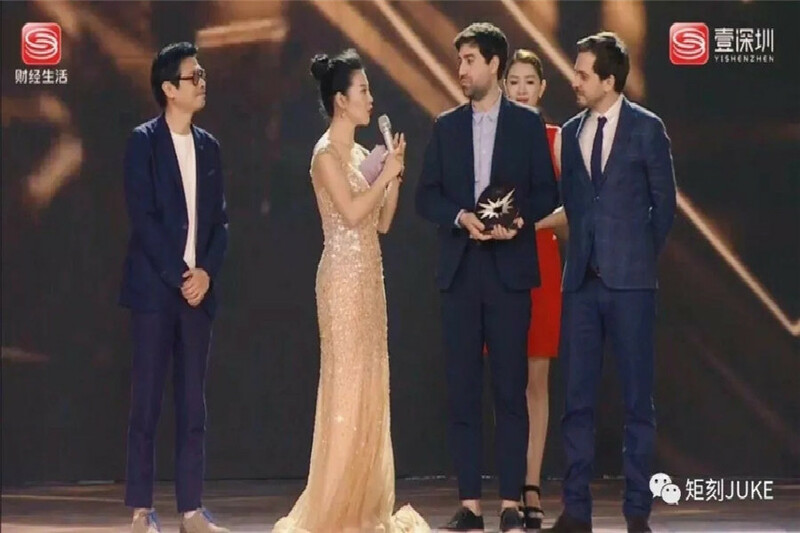 For example, they won the CES (International Consumer Electronics Show) 2017 Best of Innovation for a 3-D VR camera named “Obsidian” in cooperation with Kandao Technology, a Shenzhen-based startup. 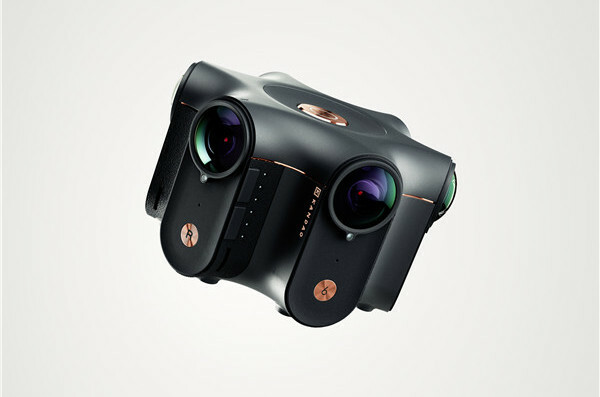 The VR camera also helped them win the 2018 German Design Award, IF Design Award 2018 and the silver award of the first Shenzhen Global Design Award during this year’s Shenzhen Design Week. Apart from the camera, they also designed robots, headphones, baby products, chairs and scooters, among which a smart thermometer for babies and a 3-D recording earphone called “Lifelike” won the innovation awards of CES Asia 2017. Despite the fact that all the award-winning works of design are the first of its kind that JU&KE has ever designed, they turned out to be very successful, according to the company. 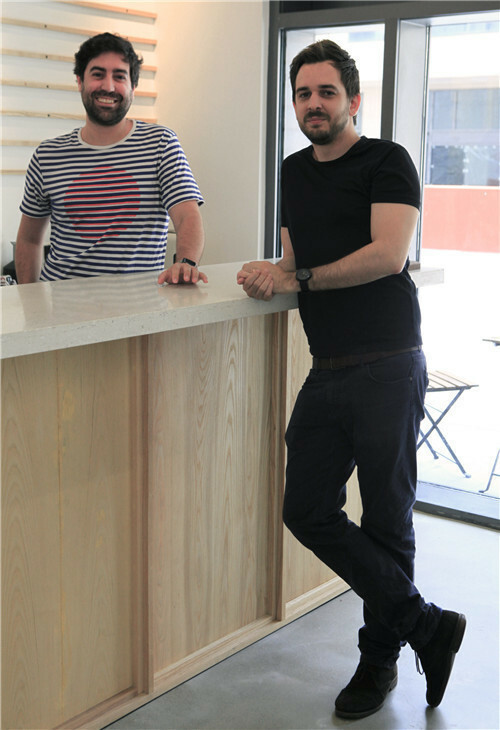 The two co-founders told the Shenzhen Daily that although the type of design products may vary greatly, the process for design is similar. 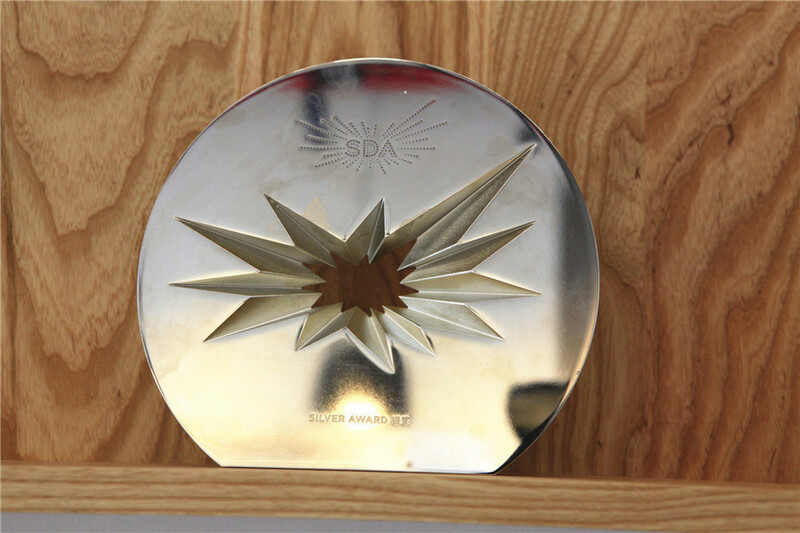 The design studio has won several international design awards. “Design is a methodology, a process of creativity. First you brainstorm, then find solutions to ID （industrial design） and finally move to real things. For example, we don’t know about the technical aspect of the camera, but we brought our thoughts and ideas to the engineers so that the product can be successful with our creativity and their technological background,” said Branchu. For Gueuning, trying his hand at designing a new product he has never designed before is not a headache, but rather a part of the job that he loves most as he takes it as an opportunity to learn. “For example we used to design a baby pacifier, which we had never designed before, so we had to do homework about what is the best pacifier, why it is the best and how to improve it. The whole process of learning also works for the branding of electronic and fashion products,” he said. To design a tea packaging box for a tea company based in China’s southeast Yunnan Province, they went to visit the tea mountain in order to understand everything including how the tea was processed, collected, produced and packaged before designing it. In spite of cultural differences when cooperating with Chinese companies, the two told the Shenzhen Daily that they enjoyed working with their Chinese clients more than clients from Europe and the U.S. When disagreements occur, they will try to communicate with the clients explaining to them what they are doing, why it is right and why they should trust them. “Once one of our Chinese clients came to us with an American-looking kettle asking us to design an American-like brand and then sell it on Chinese market since Chinese people trust foreign brands more. But then we convinced them to create a good Chinese brand with a good design made in China, which worked in the end,” Gueuning said. The two believe designers should not take all the credit for a successful design; it is also the clients who value design and are willing to invest in tooling, time and technology who make it happen. 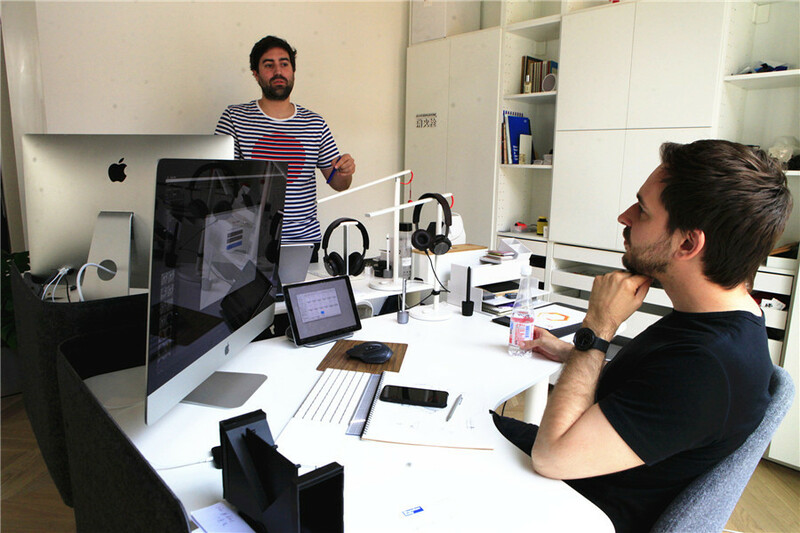 Gueuning said, “A good design comes from team work, which requires the participation of engineers and programmers. A successful design is not just about making a product but about building a strong brand. That’s why China is the best ground for designers: because Chinese companies today are willing to invest in being different and creating something better,” Branchu added. As designers who have been invited to Shenzhen Design Week many times, the two think highly of the development of Shenzhen’s design industry and the government’s efforts in promoting the industry and supporting designers. “No other city is willing to invest so much in helping promote design and designers. Shenzhen is the city that won the most design awards in the world in 2017. Shenzhen is becoming the international hub of design,” Branchu said. The two co-founders at the award ceremony of Shenzhen Global Design Award. He added that one problem with Shenzhen’s design industry is the lack of international design companies. “Shenzhen has a number of local Chinese designer committees but few international teams. So we hope the government can bring more intercultural teams to the city, because we believe an international environment brings more originality to IDs (industrial designs),” Branchu said. In the future, the two co-founders said they will continue to focus on the Chinese market, which is increasingly dynamic and active. They will launch their own brand focusing on the new Chinese generation of business owners who care about design.